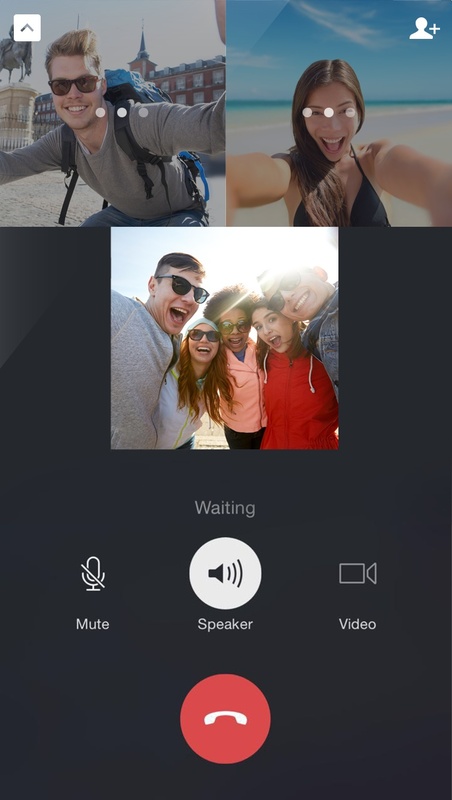 Staying connected with all your friends just got easier with video calling – now for groups. 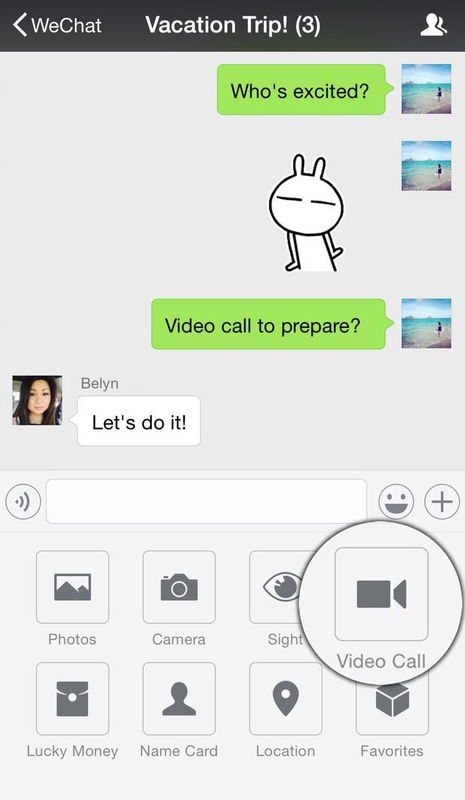 With WeChat 6.3.5 for iOS, WeChatters can start a video call in a group chat with up to nine people or choose audio only for group voice calls. We’re also introducing Group Notices and new enhancements to the WeRun-WeChat Official Account fitness tracker. Talk face-to-face with up to nine friends all at once with FREE video calling now for groups. 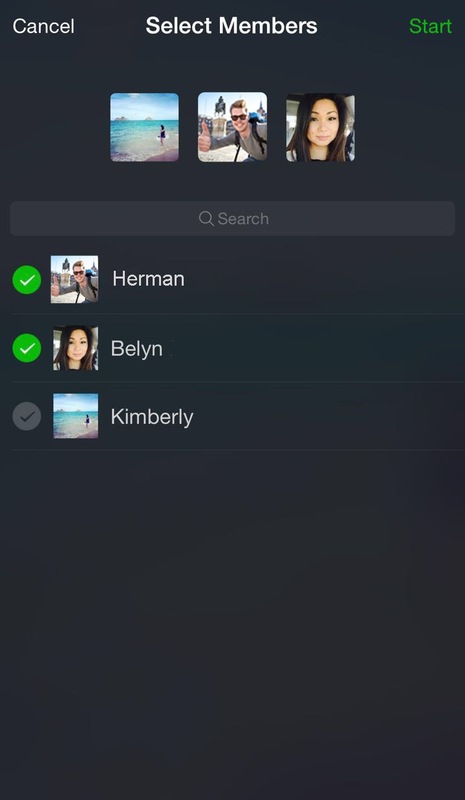 Simply choose to turn off “Video” for a group voice call. Wait for friends to accept your invite and then start chatting. 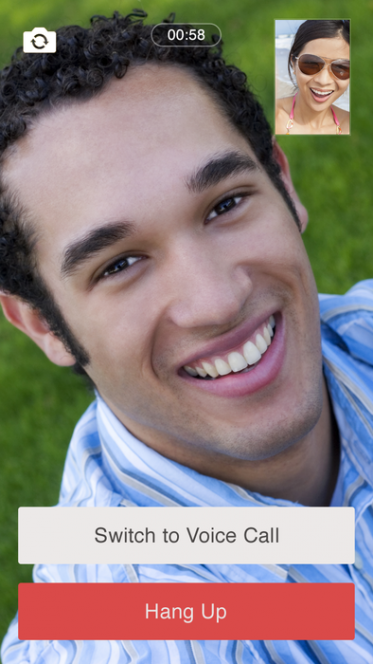 Here at WeChat, we understand how rewarding it is to get in touch with the people you love. And because we love our loyal WeChatters, we want to take that gratifying experience one step further. Today, we’re re-introducing our WeReward program. This time in the Philippines, as part of the newest “WeChat Pa More” campaign, allowing WeChatters to do more of what they love: chat more, share more, express more – all to be rewarded with exciting prizes! 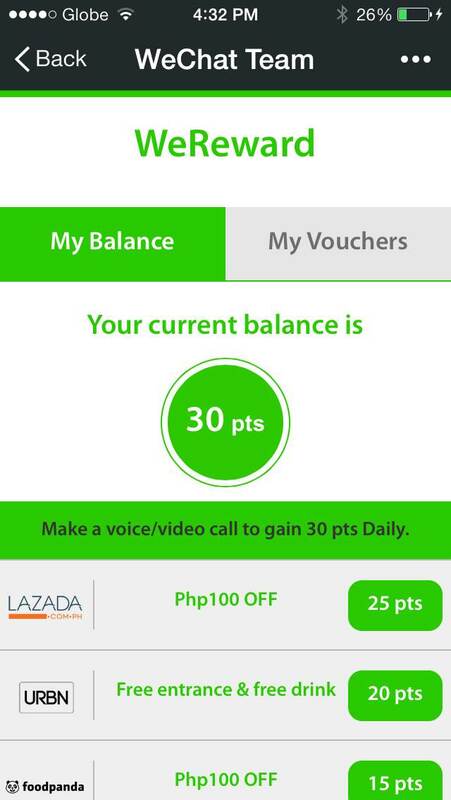 From now until July 20, simply make a WeChat video or voice call to your friends each day to earn daily points. These WeChat points are then tallied in the WeReward platform and can be used to redeem voucher codes and other benefits from our WeReward partners. Simply visit the WeChat Team official account to check your balance or to claim your rewards. 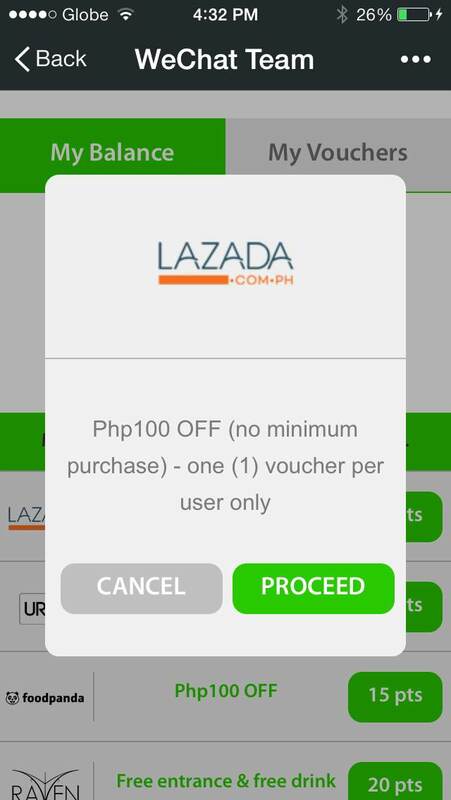 With partners like Philippines’ most popular online retailer Lazada, premier online food delivery portal Foodpanda, boutique nightclubs Raven and URBN Bar & Kitchen, along with Runtastic, a running and fitness wearable company, we’ve got a robust offering of prizes you could win, from saving PHP100 on your next Lazada outfit, to receiving free entry and a complimentary drink from URBN. It’s instant gratification for everyone. So what are you waiting for? Place your video or voice call and take advantage of this exciting campaign. Download WeChat today to start collecting points and redeeming awesome prizes. We are excited to introduce our latest “WeChat in Your Life” video, WeShine – the second in our series that highlights how WeChatters around the world can use the app to enhance their everyday lives. Whether it be to communicate their next foodie adventure or to overcome stage fright, these videos tell a few of the great stories behind why we create the features we do. “We Shine” highlights WeChat’s Video Call feature, which allows users to instantly connect with each other face to face for free. In this spot, a young violinist is getting ready to take the stage for an important audition. Extreme close-ups reveal her nervously looking at the other hopeful musicians until she steps out to have an impromptu rehearsal with her teacher via video chat. This connection – and those last few words of encouragement — via the app help her regain her confidence and seize her moment on the stage. We all love our friends and of course rewards. 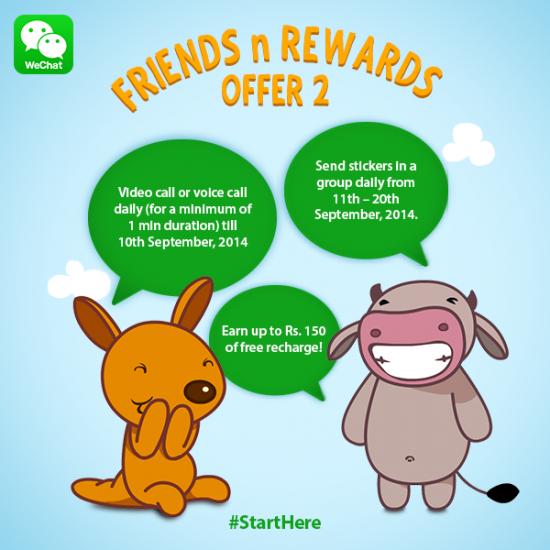 That’s why WeChat has combined the two for our latest Friends n Rewards campaign in India – Now back with a twist. By simply making a video call, sending a voice message or sharing stickers, WeChat India users have an opportunity to earn up to Rs. 150 of free recharge. This is almost double the reward offered in the previous August promotion where users received Rs. 60 for sending stickers to friends.